Last year I successfully followed the slimming world plan and lost some weight in time for a family party and since then I have (shamefully), but some of the weight back on, so I am thinking of joining again. For me the plan is easy to follow, you can eat loads and enjoy a real variety of food and if you want to have treats you can use up to 15 syns to do so, yet I always found it hard to spend my syns wisely. So in preparation for a kick start in time for summer and the unavailing of more skin than I would currently be comfortable with, I though I would research some low calorie snacks and start converting them to syns so that I can be prepared for when the cravings hit this time round. Here are a few of my favourites – please note all syn values are rough calculations and have not been authorised or checked by slimming world. 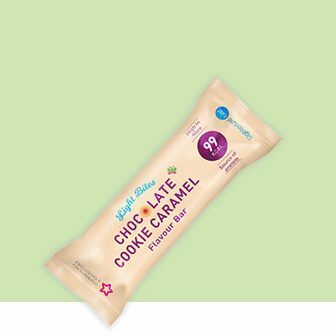 For me the biggest craving I get is for chocolate and I have found that the Light Bites chocolate cookie caramel bars are both delicious and more filling than a usual chocolate bar due to the additional protein in them. They contain 99 Calories which using the 20 calories to 1 syn rule mean they are roughly 5 syns. Another way to get your chocolate fix and one which tends to last a little longer than a bar is to use a chocolate milkshake. 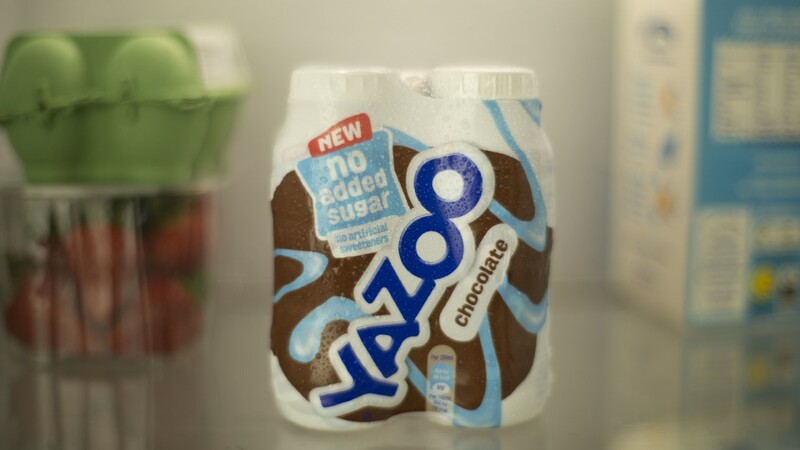 The new no added sugar one from Yazoo are really chocolatey and contain 96 calories per 200ml which equates to roughly 5 syns. The come with straws which makes them ideal for taking out and about with you so you don’t get caught out by a craving and come off plan. If you prefer to make your own milkshakes, perhaps you require a certain type of milk like lacto free, then this little discovery is for you. The Sweet Freedom choc shake in banana flavour is easy to store and even easy to use, just add 4 tea spoons to a glass of milk for a sweet treat. The choc shake contains 12 calories per tea spoon so 4 would be roughly 2.5 sys. Just remember to syn the milk or use it as your heb A. 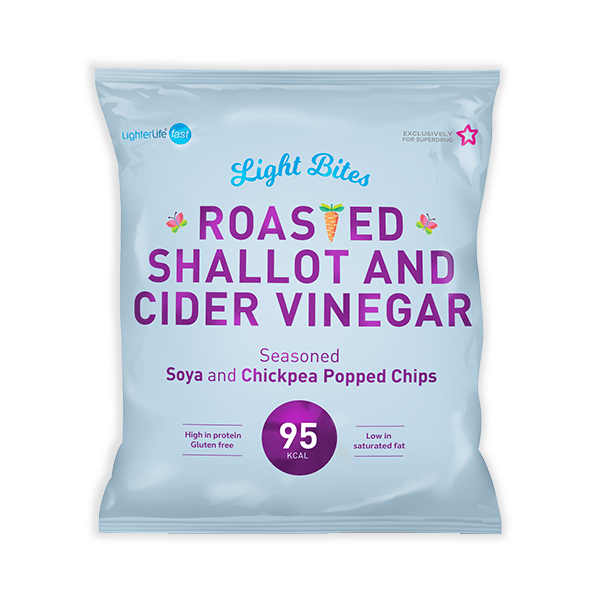 Second to my chocolate fixes is a craving for crisps and Light Bites have also got me covered here with a section of snacks that look like crisps but are in fact soya and chickpea popped chips. They are available in a range of flavours including cheddar cheese and chutney, sweet and smoky chipolte and my personal favourite, the roasted shallot and cider vinegar. As well as being lower in calories that other crisps they are also healthier as they are low in saturated fats. They contain 94 calories per pack which is roughly 5 syns. Sometimes I feel like I just need something sweet and I am sure this is because my brain concludes that a diet means I can’t have anything and therefore wants everything. So if I need to sweeten something up and I don’t want o use sugar then this Sweet Freedom fruit syrup is great. So far I have added it to porridge and to pancakes and it has added a lovely sweet and fruity taste. I also found that as it looks like golden syrup I can convince myself very easily that it is indulgent and “naughty” but with only 13 calories per tea spoon you are only using just over 1/2 a syn at a time. Personally I round it up to 1 syn and use a heaped tea spoon. This product is so versatile and can be added to drinks, puddings and can be used for baking too. How do you use your syns on slimming world? (All the syn values have been worked out by myself and should be used as a guide only, this is not endorsed or verified by slimming world. The products were sent to me by the companies for review and all opinions are my own. What was your favourite fashion trend?